Posted by: TMZ Staff on September 7, 2011. Soulja Boy and his management team are SCRAMBLING to remove all traces of the rapper’s army-bashing song from the Internet — and they swear … it won’t come anywhere near Soulja’s new album. 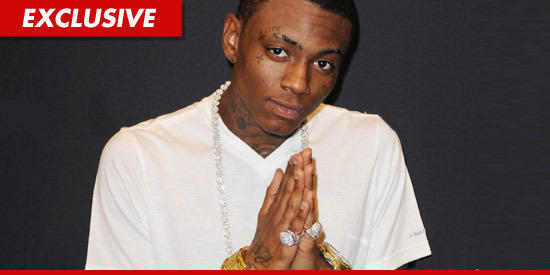 A rep for Soulja’s management team, Debby Coda, tells TMZ, both the rapper’s management and his record label have been working nonstop since Friday to take the video down off the Internet. Debby insists, the song will never be available for purchase. We’re told Soulja is willing to do whatever he can to make up for the song — which contains the lyric “f**k all the army troops” — including free shows for the military, and meet-and-greet sessions. Tags: anti-army, Army, Eric Scott Radio, Exclusive, new album, rap, Soulja Boy, U.S.